They are not tested on animals, are Anti bacterial, Hypo-allergenic, and have been approved by Action Against Allergies in the UK. 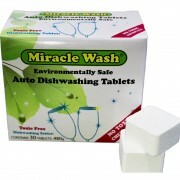 Miracle Wash Laundry Balls are used by the staff at the Eczema Association of Australasia Inc. If you suffer from eczema, have a look at their website http://www.eczema.org.au The Laundry Balls are gentle enough for washing baby’s nappies and clothes. The pellets are naturally antibacterial and destroy both E-Coli and Staphylococcus bacteria (as certified). In some instance, allergies and eczema flares up from chemicals on the skin. 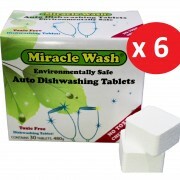 Sodium Lauryl Sulphate is a skin irritant and found in all products that foam including laundry detergent. By eliminating this, my customers have found their skin problems have eased to even disappearing. If you have skin problems or allergies, down load my Free Report on the home page to learn what chemicals can cause you problems. Read what my happy customers have to say….. Thanks again for a fabulous product that has saved me from many hours of scratching my right leg till it goes red raw. Thanks very much and keep up the great work in promoting the laundry balls. 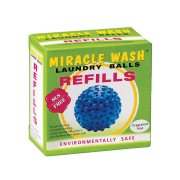 I have been using your laundry balls for over two years now, and still haven’t had to replace the contents yet. 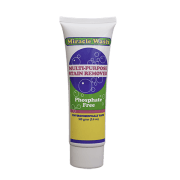 I started using them as my son got bad skin rashes, and it worked a treat! My daughter (now 12 months old) hasn’t suffered the same problem, however she has never had her clothes washed in powder. unlike my poor son in the beginning! thought of using detergent until my replacement arrives!